Our Skrill Bonus Program and benefits come in ADDITION to the Skrill VIP status. We were able to add special Skrill promotions like the 15 USD Signup Promotion for new customers allowing us to offer the best Skrill Bonus Program on the net for everyone who wants to use Skrill as their favorite eWallet. No matter if you are a member of Skrill VIP program or not, as our Skrill client, you will enjoy our additional service and our internal Skrill support team that takes care of your issues within 1-2 business days. The following overview shows you detailed information about all benefits you have by joining our Skrill Bonus Program. After 6,000 EUR in outgoing transactions. After 15,000 EUR in outgoing transactions. After 45,000 EUR in outgoing transactions. After 3,000 EUR in outgoing transactions. After 5,000 EUR in outgoing transactions. Faster Upgrade to bronze and silver VIP status (only 3,000 EUR for bronze, 5,000 EUR for silver & 15,000 EUR for gold). FREE eWO Cashback (0.3%) & Support Membership. FAST track Skrill account verification within 1 business day. Personal Skype Support from eWallet-Optimizer. 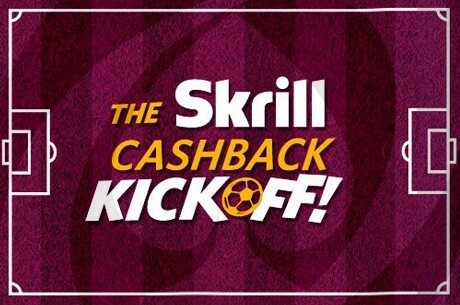 HIGHEST Skrill Cashback Program on the net. By using our Skrill Sign Up Promotion, you will earn $15 as new Skrill customer. In order to receive the $15 eWallet Bonus you need to transfer at least $15 from your Skrill Account to a Skrill Merchant made within the first 30 days of your registration. Please note, your account needs to be verified and only funds uploaded through a payment method you have added (bank account & credit card) do count for this promotion. Funds received through p2p transfers cannot be used to fulfill the requirements. Our Skrill clients who are not Skrill VIP yet, are able to join our exclusive Skrill VIP-Upgrade promotion that earns them up to 100 EUR Cash Bonus paid by Skrill in addition. Please note, the 1% bonus can only be claimed by reaching the requirements within 30 days after your Skrill account creating. Older accounts cannot participate! Regular customers need to transfer a lot more to get upgraded to bronze, silver and gold VIP. For bronze VIPs it is 6,000 EUR, for silver VIP it is 15,000 EUR and 45,000 EUR for gold. Therefore you will enjoy a huge benefit by joining our free eWO Bonus Program. Please note, the lower requirements are a one-time offer for new eWallet-Optimizer clients. Once you have used our faster VIP Upgrade service you need to reach the standard requirements afterwards to maintain your status or to get upgraded again. Every customer who joins our Skrill Bonus program earns 0.3% cashback for all outgoing transfers. This cashback comes in addition to the benefits from the regular Skrill VIP system. Please use our eWO Bonus Calculator to get an idea of the amount you could earn depending on your monthly transfers. For details, please do not hesitate to contact us . The 0.3% Skrill bonus is paid every month until the 20th directly into your Skrill account. Eligible transfers for cashback are all deposits to any merchant like sportsbooks, poker sites, online casinos or forex providers. However, transfers to another Skrill account owner, payments with the MasterCard or withdrawals from any merchant do not not count for our cashback program. Please make sure to reach the minimum requirements of 4,500 EUR in transfers from your Skrill account to any merchant to become eligible for your monthly bonus. For any further questions about eligible transfers, just contact us . We are happy to help. As you can see, joining our eWO Bonus program comes with some huge benefits and is completely free for all our clients. Make sure to not miss our monthly bonuses, lower VIP requirement or our welcome bonus for new clients. Just follow our instructions on how to join us and become an eWO member now. If you have any questions about the eWO Bonus you can earn with us, please do not hesitate to contact us . We are here to help. Please also check our Facebook gallery for recent eWO Bonus payments or ask your friends what they have already earned in our Bonus Programs for the past years.